Wi-Fi networks are the most volatile because they’re subject to external factors that are the hardest to control. RF interference, fading, and channel access conflict driven by a sudden increase in users create jitter that these networks treat as congestion, slowing traffic to prevent data loss until throughput collapses, even when plenty of bandwidth is available. Connections drop, videos pause and applications stall. Hotels, restaurants, cafes and other small businesses, as well as larger firms with branch offices all struggle with this. As more OTT 4K video content is consumed over Wi-Fi networks, it will only get worse. Most network administrators try to address these challenges by installing faster, higher capacity 5GHz access points (APs) to provide better performance for more mobile devices in the same Wi-Fi network. While this creates more Wi-Fi bandwidth, it doesn’t address the real problem of jitter. In fact, adding more high speed APs can make it worse. 5GHz signals are much shorter range than previous generation 2.4GHz signals, resulting in more fading, and they have a harder time penetrating walls and other obstacles. Finally, not all end-user devices support 5GHz. WarpGateway™ leverages Badu Networks’ patented technology to deliver greater than 100% improvement in upload and download speeds on existing Wi-Fi networks, by eliminating throughput collapse commonly caused by jitter due to RF interference, fading and other factors. WarpGateway is installed between the WAN gateway modem providing the internet connection, and the Wi-FI AP/Router. No changes to clients or servers are required. As an option for larger businesses, WarpEngine™ can be deployed at on-premises data centers to eliminate the impact of jitter common with today’s streaming fast data and web applications, working in combination with WarpGateway at each branch office to filter out local Wi-Fi network jitter. Businesses struggling with poor cloud application performance can deploy WarpVM™ in any public or private cloud environment to filter out the impact of jitter due to VM crosstalk and hypervisor transfer delays. WarpVM works in conjunction with WarpGateway™ installed behind the firewall to filter out the negative impact of local Wi-Fi network jitter. 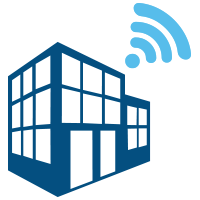 Larger enterprises with remote branch offices struggling with Wi-Fi performance issues. Left unchecked, Wi-Fi jitter can trigger a throughput reduction across the entire path back to the application server in the corporate data center, impacting productivity across the organization.